If anybody is band of the moment it has to be Fontaines D.C. The hype for this group of Dublin post-punk-ers has been building and building over the last few months, and with the release of their debut album Dogrel yesterday that is likely to amplify. And deservedly so, in my book. Fontaines D.C. are not for the feint-hearted. There music is a full-on assault – clattering drums, punching bass and take-no-prisoners guitars, topped with the full-on Irish brogue of lead man Grian Chatten. That voice is truly Grian’s own – it’s not going to win any competitions, but in the context of this band it is just what is needed. Drawing on Ireland’s long literary heritage, this is serious music that doesn’t shirk from the gritty reality of life as it is now – as one of their other songs taunts, “Is it too real for ya?”. It’s sung to Ireland – from a mindset of frustration, depression, and a loss of innocence… A couple years back the EU awarded Ireland €14 billion in back taxes from Apple, but the government here refuses to do anything with the money out of fear Apple will move their headquarters. They care more about a giant corporation than the people of our country, and all we can do is sit there and take it. We wanted this to be a moment of reflection on the album. We included this song with the purpose of showing our intent as a band and as songwriters. We intend to explore whatever emotions or ideas we see, not just make ‘another post-punk album’. Oh, and do watch the video (below). It’s great, and really enhances the song. As with many of the band’s songs, their is simplicity at the heart. The song is – at surface level – very basic, really only two chords. But there is a power and focus at the heart of the song that gives it its strength. Essentially it’s the same pattern repeated throughout the song, so once you get that (spelled out in the intro in the song sheet) you’ll have it. I’ve included two versions – one in the original key, and one transposed down to make it easier to play (removing those horrible E’s and B’s!). This is a song that deserves to be sung. Enjoy! Categories: Post-Punk, Punk, Rock, ukulele | Tags: 2010s, 2019, Fontaines D.C., Post-Punk, Punk, Rock, ukulele | Permalink. Welcome to ridiculously long song-title obscurity, everybody! 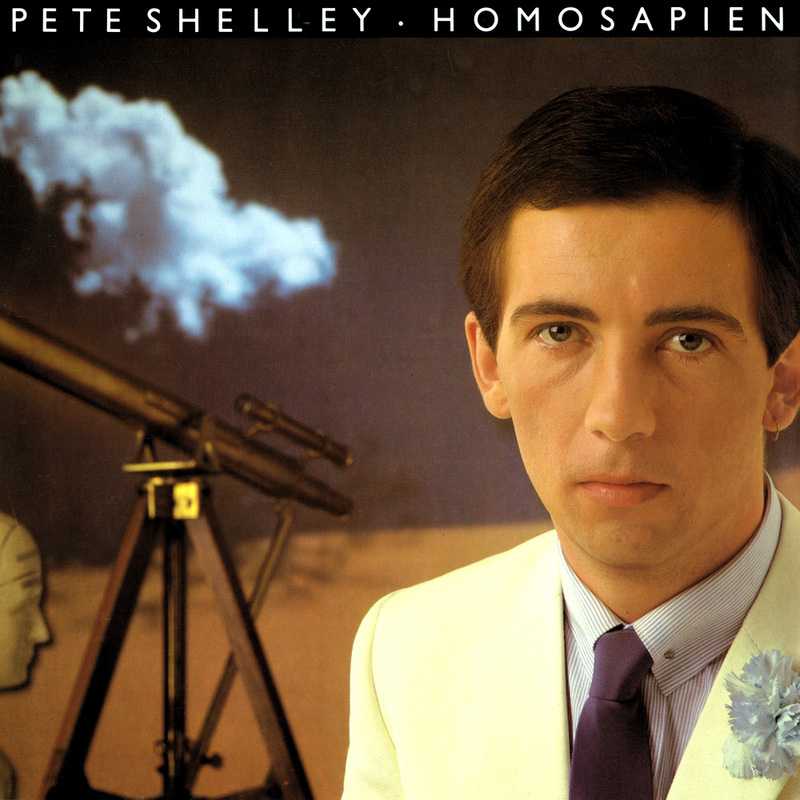 Actually, if you were anywhere near a radio in 1981 this won’t be such an obscurity as it was one of those “radio hits” – played to death but never really catching on with the general public. The Freshies were largely the brain child of one Chris Sievey. If that name isn’t familiar as the leader of The Freshies, it may be more familiar in the guise of a Chris’s later career, via. his alter-ego Frank Sidebottom. A surreal comedic creation with a huge papier-mâché head, an extreme Mancunian accent and deliberately naff songs, Sidebottom was something of a cult success, a launchpad for somewhat more successful careers for the likes of Caroline Aherne (Mrs Merton was originally conceived as Frank’s neighbour) and Mark Radcliffe (a member of Sidebottom’s band). But before all that there was The Freshies. 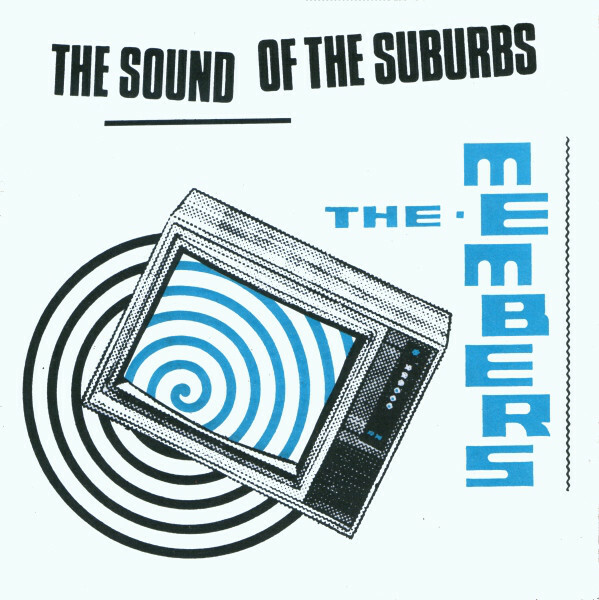 A Manchester-based power-pop / new wave band, their songs bore all the hallmarks of the new wave sounds of the time (albeit with some classic tunes), but were shot through with Chris’s unique take on life. Whether it be the usual romantic travails given particular Sievey spin in the likes of Tell Her I’m Ill or If You Really Love Me … Buy Me A Shirt, or the record-buying woes of the wonderful I Can’t Get Bouncing Babies By The Teardrop Explodes, you were always guaranteed a unique perspective in The Freshies songs. But it is with “I’m In Love…” that they are best remembered. An almost hit, reaching the giddy heights of number 54 in the singles charts, the song was almost more famous for being the subject of a BBC furore,resulting in the song needing to be re-recorded to remove the reference to a certain record store (Virgin) in the songs title and chorus. Intertwining a tale of unrequited love for the record shop counter girl with the rejections that Chris and The Freshies were to constantly get from the record business, the song is a 2-and-a-half blast of pure power pop joy. Should have been massive, but was destined to never be so. And so to the songsheet. I couldn’t find copies of either the lyrics or the chords for this online (although I did eventually find a YouTube version where somebody had transcribed the lyrics), so this is mostly my own creation. Therefore it might not be perfect! One slightly tricky chord (the F# in the intro and bridge) but the bigger challenge is more likely the timing – fitting the lyrics into the tune, particularly the bit that lists record labels! But it’s a great song, and you’ll have fun trying. Enjoy! Categories: New Wave, Punk, ukulele chords | Tags: 1980, 1980s, Frank Sidebottom, New Wave, Punk, The Freshies, ukulele | Permalink. From the sublime (step forward, Brandy Clark) to the faintly ridiculous. Never let it be said that you don’t get variety around here! So here’s a song that I’ve lived with for 30 odd years, only to find a couple of hours ago that it wasn’t quite what I’d thought. The origin of this one for me was a purchase in an Edinburgh record shop of a shrink-wrapped bundle of 5 singles. It was bargain-basement time, and though you could see the covers of the two outside records, I didn’t have a clue what was inside. 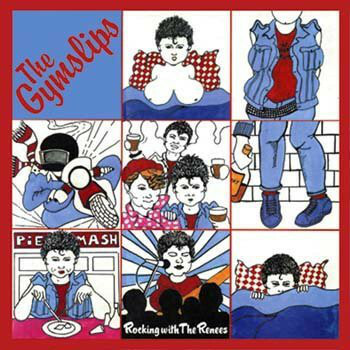 To be honest, I don’t remember all the records that were in that pack, but I do remember that one was the great double-sider by The Rezillos I Can’t Stand My Baby / I Wanna Be Your Man, and another was this slice of kitsch punk from The Gymslips. Now I never knew anything else about The Gymslips, but really loved the definitely tongue-in-cheek, bubblegum punk that sprang from the turntable when I played this song. It’s only after the last year or so that I rediscovered this song and this band, primarily through a copy of their only album, Rocking With The Renees. An all-female punk band from London (and there’s no transatlantic twang here, the accents are full-on London), The Gymslips were never one to take the music business that seriously, and clearly had a blast doing what they were doing. This is sheer good time punk, replete with plenty of lyrics references to bums and getting pissed (there’s a very definite strain of English humour running through it all), a cartoon image exemplified in that album cover. So Robot Man seemed to fit into that category without any trouble, a 2-minute blast of tuneful fabulousness. But it wasn’t until I was looking online for the chords and lyrics for this song (where there are zero references) that I accidentally discovered that actually this is a cover of a song originally recorded back in the 1960s by Connie Frances, part of a double-sided single that made it to number 2 in the UK charts. So not so obscure after all. Actually, thinking about it the lyrical content (a robot lover, somehow strangely back in vogue) is obviously such a theme of the late 50s / early 60s it’s quite obvious really. But The Gymslips version gives the original a spirited kick up the arse (as I’m sure the band would say!) and is just a pure joy to listen to. So here’s the song sheet. As to be expected from such a straight-ahead punk song, it’s not tricky. Four chords (surely that’s one more than necessary!) and a lot of attitude. This version is in the same key as the Gymslips version, the Connie Francis version being a semi-tone lower. Oh, and I’ve thrown in the four note opening riff as a bonus. Enjoy! Categories: New Wave, Punk, Rock, ukulele chords | Tags: 1980s, 1983, Connie Francis, New Wave, Punk, Rock, The Gymslips, ukulele | Permalink.